Samson Tudor 'Ghosts' 2017; Henry Tyrrell 'Untitled' 2016-2017. This year, in addition to our commitment to supporting cultural charities and arts prizes, ACS have provided a wide range of dedicated bursaries to students from arts universities throughout the UK. ACS is proud of its status as a not-for-profit Community Interest Company. As we operate solely for the benefit of our member artists, any surplus income is locked into the company and is used for the benefit of our members and the wider artistic community. Since ACS was established in 2006, this commitment to the arts has assisted in supporting a great variety of community projects and charities. Over the course of 2017 we are delighted to have been able to provide £28,000 in educational bursaries and prizes to students and graduates from UK arts universities. A small selection of these opportunities are detailed below. Stay tuned for the second instalment announcing more of our prize winners soon! To accompany our popular Artist Spotlight series, ACS have introduced the Student Spotlight to highlight the work of our educational prize winners. Emily spoke of her artwork inspired by the natural world in the first edition of our Student Spotlight feature which can be read here. This year ACS has awarded two Materials Prizes to second year students at Kingston University London. One prize has been awarded to Louise Kimber who creates playful, colourful paintings which explore sub-conscious anxieties and surreal situations. A further combined prize has been awarded to collaborative duo Jess Tollet & Jessica Wilkinson who produce sensory public installations that aim to benefit their community. Each prize awards a £500 bursary to aid with the cost of creating and delivering the student’s graduate shows in 2018. Read more about Louise Kimber’s artwork in our Student Spotlight interview here. 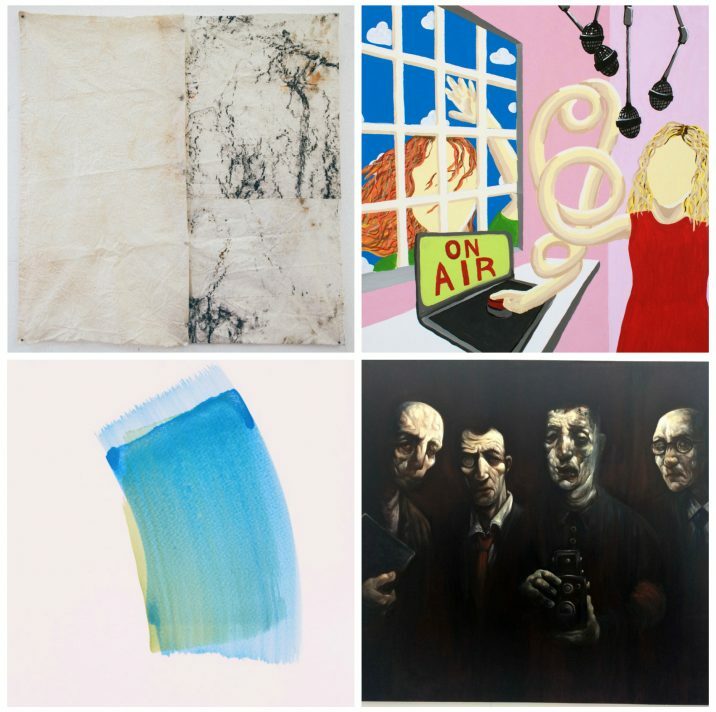 From the Slade, Masters of Fine Art student Henry Tyrrell who explores a range of techniques in his paintings and works on paper has been awarded the ACS/Slade MFA Award of £3,000 which benefits a student during their postgraduate studies. Two Materials Prizes have this year been awarded to Jordan Page and Samson Tudor. Jordan explores highly charged, political themes in his installation and performance based work while Samson uses narrative, figurative painting to comment on socio-political issues. Both currently in the second year of their undergraduate degrees, each student will receive a £500 prize to assist in preparations for their upcoming graduate shows. We look forward to reporting on the recipients of other prizes awarded by ACS in 2017 shortly.